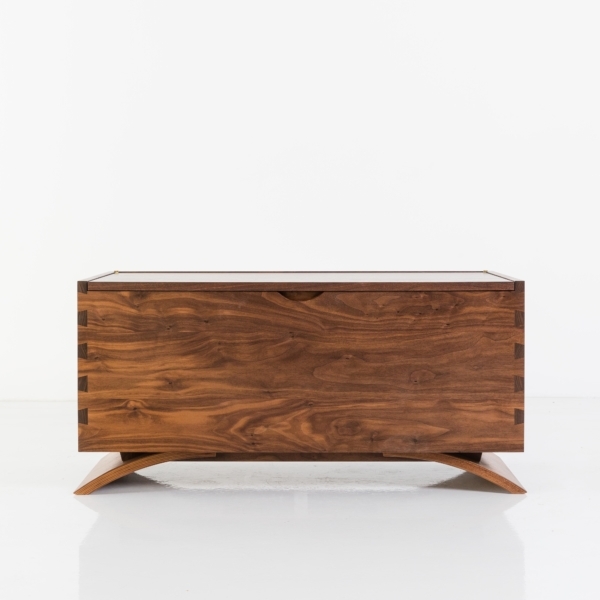 Designed to embrace the simple, clean lines of its namesake collection, the Vita Blanket Box expresses its Danish influences through its effortless function. 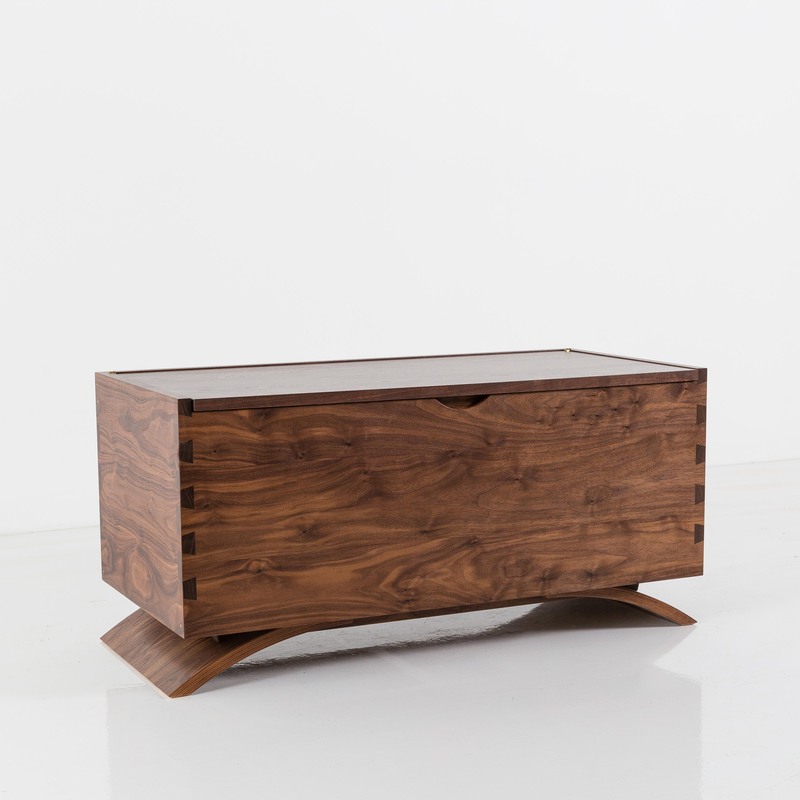 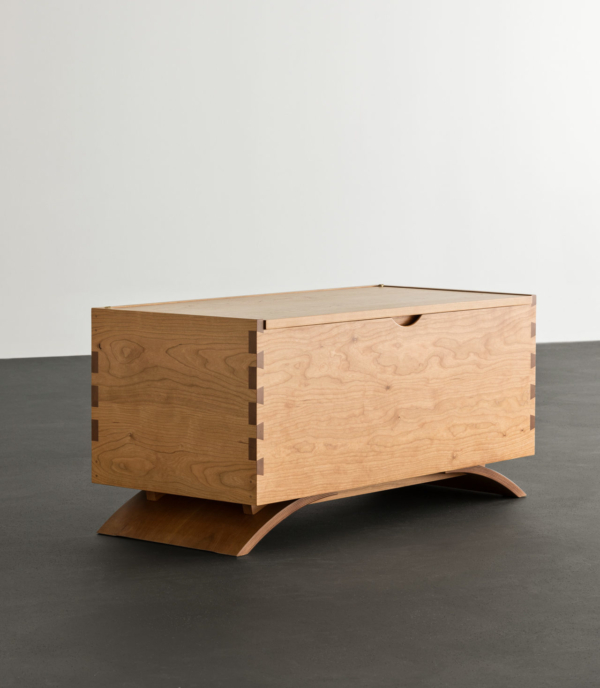 Crafted in North American hardwood, the blanket box features the beautifully precise dovetail joint – known for its strength and striking visual appeal. 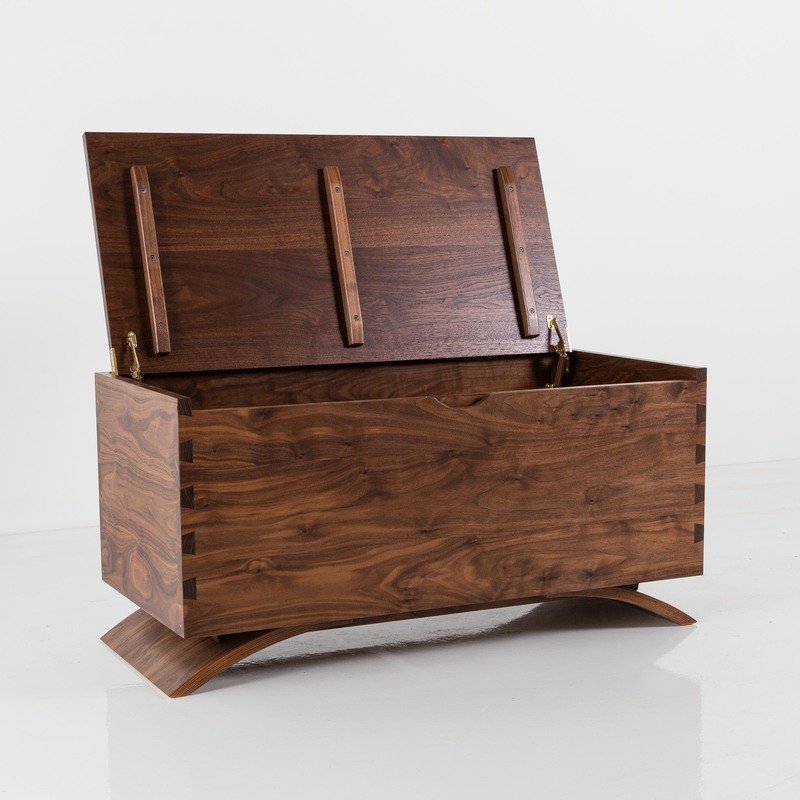 The spacious interior provides storage for several blankets and is lined with an aromatic cedar plank. 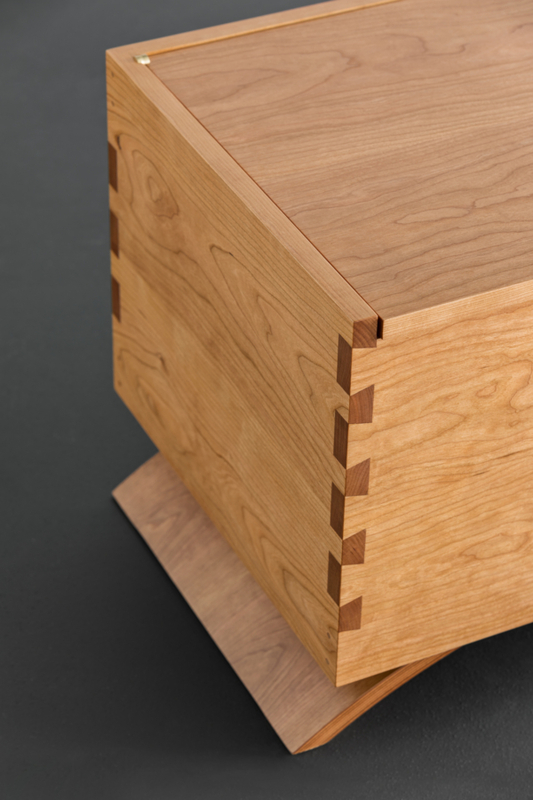 While simple in form, the details of the Vita Blanket Box make all the difference. In crafting the blanket box, the form was enhanced through thoughtful construction and time-tested mitered dovetail-joints that provide uncompromising structural integrity. The box itself rests atop a signature arc of laminated wood, heat-curved to preserve its distinctive shape. 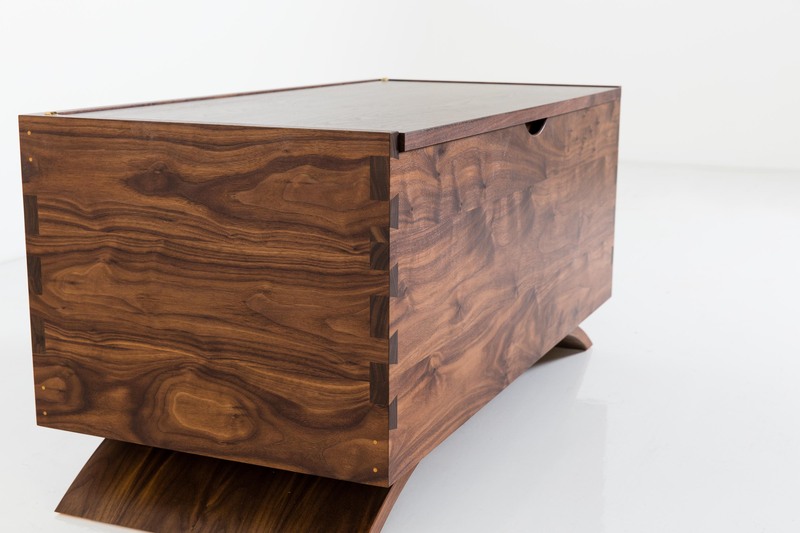 The front of the box features an integral handle formed of a simple cut, providing ample space for a hand to grip and pull. 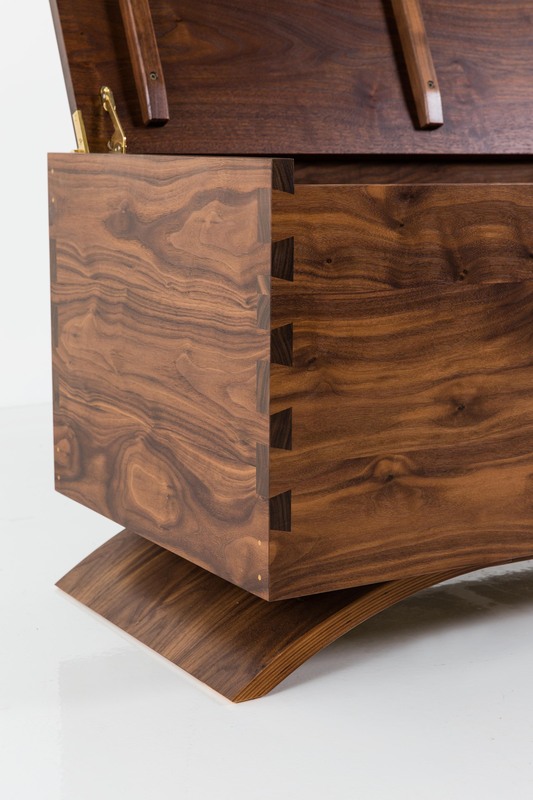 The solid wood lid is perfectly grain-matched and pivots smoothly on brass hinges that feature soft close lid supports. The Vita Blanket Box is a desirable addition to any bedroom collection and pairs well with other pieces from the Vita Collection.